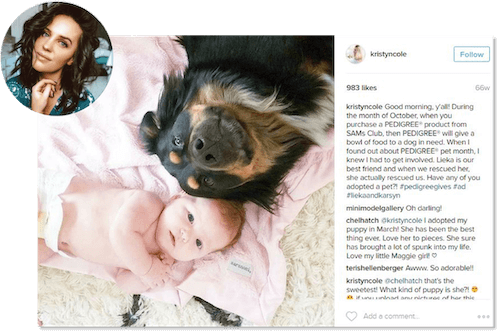 Pedigree worked with influencers such as Kristyn Cole who promoted the “Buy a Bag, Give a Bowl” campaign through their social media channels, blog posts, and videos. They shared touching stories about their pets to appeal to followers’ emotions and encourage them to buy bags of Pedigree food. They selected influencers that already had pets and had audiences that already showed an interest in pet content. Contact us to hear Julius can help you run effective influencer programs in-house.